Nearly all dairy products in Australia, such as milk, cheese and yoghurt, are pasteurised. This means they have been heat treated for a short period to kill any bacteria. Pasteurisation has done a great deal to reduce food borne disease over the years. It is illegal to sell unpasteurised (raw) cow’s milk in Australia for human consumption and health authorities recommend that it should not be consumed. 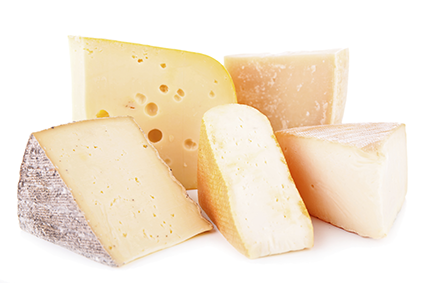 There are also a few unpasteurised hard or semi-hard cheeses imported into Australia including extra hard type cheeses (parmesan types), the Swiss cheeses Emmental, Gruyere and Sbrinz, and Roquefort cheese but these have to undergo strict production processes and testing. They must be labelled that they have not been pasteurised. Vulnerable people such as pregnant women, people with reduced immune systems, the elderly or young children should not consume raw milk or raw milk cheeses as they can get seriously ill if they get food poisoning. Using a double boiler, place the milk in the top and water in the bottom. Place an accurate, metal-stem thermometer and spoon in the milk during the entire pasteurization process. A metal-stem thermometer is preferred over glass because it will not break. Heat the milk, while stirring constantly, to 75°C and hold it at that temperature for no less than 15 seconds. Constant stirring is important for obtaining even distribution of the heat and to ensure that all the milk is heated to 75°C. At the end of the 15-second holding time, place the top portion of the double boiler containing the milk in a pan of cold water. Continue stirring the milk to achieve rapid cooling. When the milk temperature is below 55°C, replace the cooling water with ice water and continue to cool the milk, with occasional stirring, until the temperature is 5°C or below. Pour the cooled milk into clean containers, cover, and store in the refrigerator at 5°C or colder until used.